On the very first Mother’s Day that my husband and I were married, I decided to host an extraordinary event for my mother and mother-in-law. I planned an entire afternoon of pampering for them. Neither of them had ever had a pedicure before, so I scheduled appointments for them both. I cooked a four course luncheon at my home, and I even arranged it so that neither of them had to drive. My husband was the chauffeur and carted them both to their appointments and to lunch. 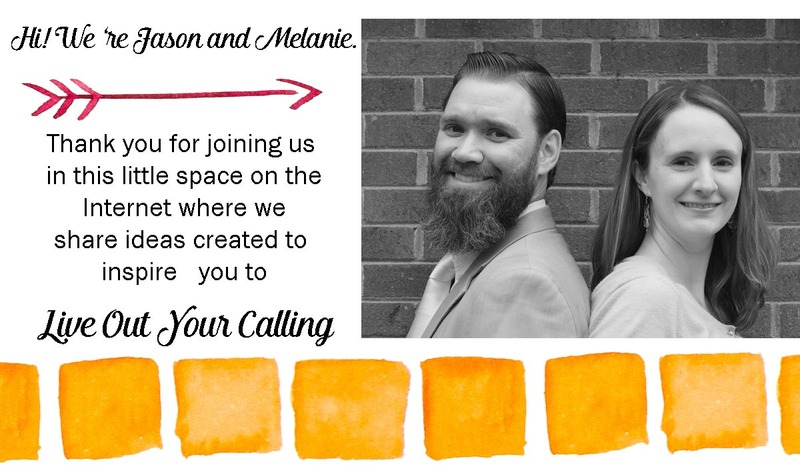 It was a wonderful way to honor our moms on our first Mother’s Day as a married couple. Fast forward ten years, and I’m now a mom myself. With four kids and three jobs between us, planning an event for our mothers like that first Mother’s Day would be a logistical nightmare! 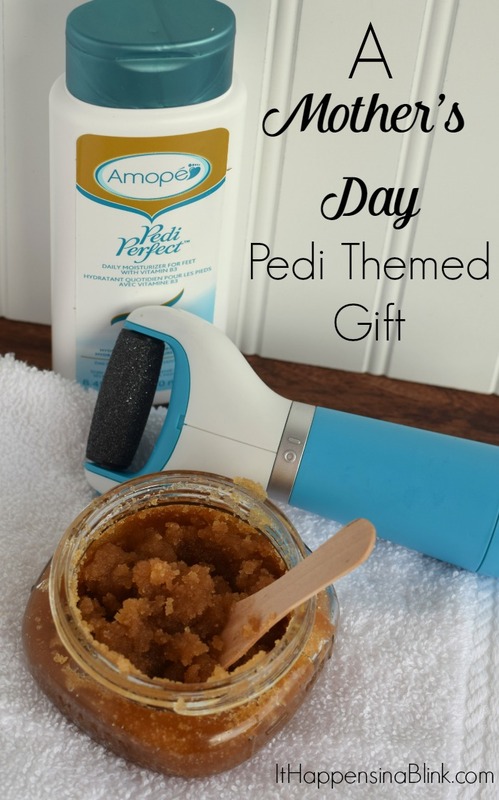 I still want the them to have a pampered Mother’s Day in spite of my and my husband’s overly hectic schedules, and thanks to the Amopé™ Pedi Perfect™ Electronic Foot File and my DIY Brown Sugar Foot Scrub, I can give them an at-home experience. From my early days of blogging, I’ve had several blogging friends post DIY sugar scrubs on their blogs. The concept isn’t new. However, one of the common complaints that I’ve heard of making sugar scrub at home is that using olive oil causes a yellow tint to the scrub, leaving many crafters no choice but to purchase a coconut oil just for making scrubs. Last fall, a friend of mine made a Pumpkin Pie scrub, and she decided to use brown sugar to coordinate with the pumpkin pie theme. After seeing this, I realized that brown sugar was the remedy for the discoloration issue! 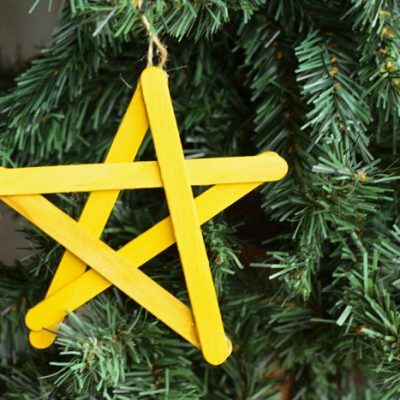 Olive oil doesn’t discolor brown sugar, making this recipe perfect for a spur of the moment DIY project. It eliminates the need for a specialty oil. I can use what I already have in my pantry! a dash of a scented extract (if desired). For this batch, I’m using orange extract. 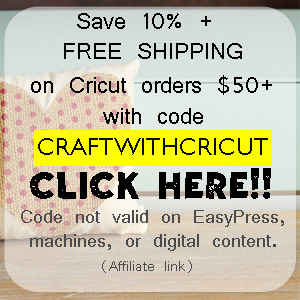 Some crafters use essential oils. Mix the brown sugar and olive oil in the jar. Add a dash of the extract. Be careful! A little goes a long way! Stir the mixture thoroughly. 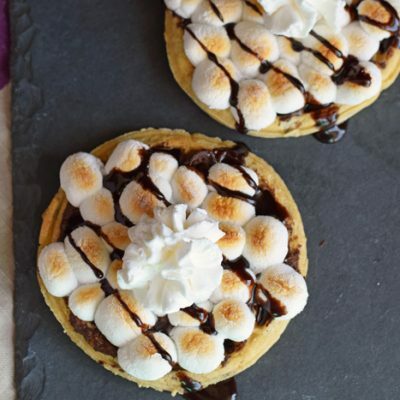 If it is too thin for your taste, add more sugar. If it is too thick, add more oil. I didn’t have to add any additional sugar or oil to my batch, but add these in small increments if you choose. One word of caution- if using the Brown Sugar Foot Scrub in the shower, be careful not to slip. The oil from the scrub can make the shower floor slick. 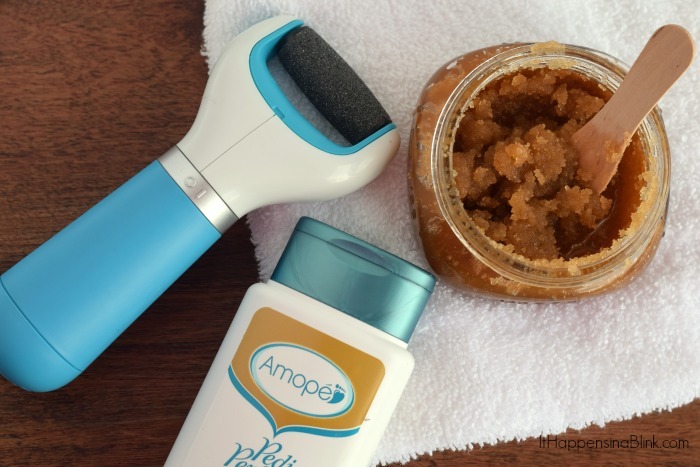 I’m pairing this Brown Sugar Foot Scrub with the Amopé™ Pedi Perfect™ Electronic Foot File and Foot Cream for an ultimate at-home pedicure experience. The the Amopé™ Pedi Perfect™ Electronic Foot File is awesome! It works wonders on hard skin and is sure to get Mom’s feet sandal summer ready! The gentle rotating action of the unit buffs away hard skin. Looking to purchase the Amopé™ Pedi Perfect™ Electronic Foot File for your mom for Mother’s Day? 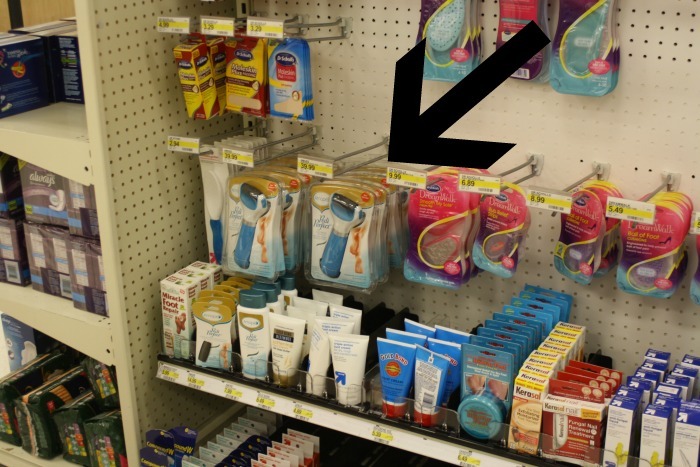 It’s available at in the Footcare Aisle and SideCap displays at Target for a price point of $39.99. 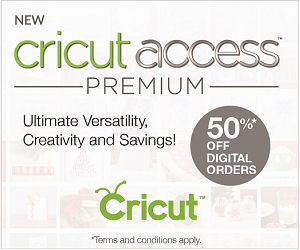 If you are a Target Cartwheel addict like me, then you’ll be excited to know there will be a Buy 1 Gadget, get a FREE $5 Target Gift Card offer from 5/3 – 5/9! To stay up-to-date on the latest from Amopé™ Pedi Perfect™ Electronic Foot File, like the Amopé™ Pedi Perfect™ Electronic Foot File page on Facebook! 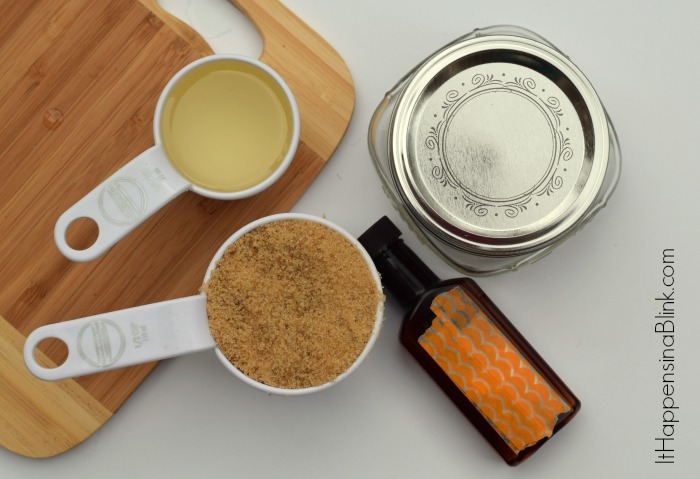 Have you ever made your own sugar scrub before? What is your favorite recipe or scent combination? This is so cool and such a great idea! I love that you used brown sugar too. 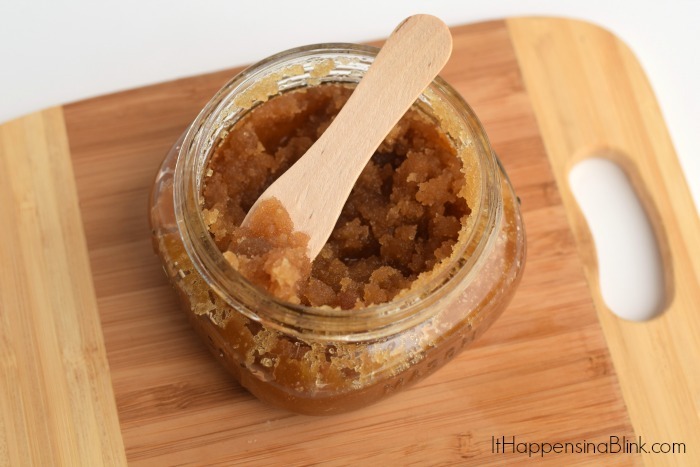 I’ve always wanted to make my own sugar scrub and what a great way to do a pedicure at home. I’ll have to try this out for my Mother’s Day this year. I have one and it really works. What a great idea and love the combination! 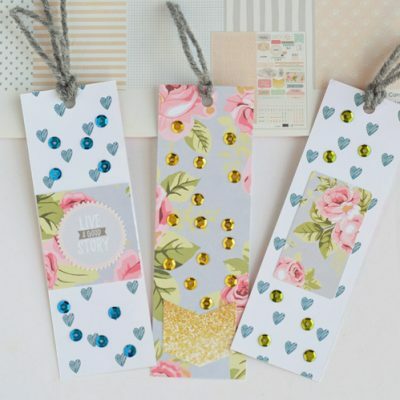 This would make a great present for a friend, even me! I need to get this for myself for Mother’s Day! I just told my husband the other day that I need to get a pedicure. 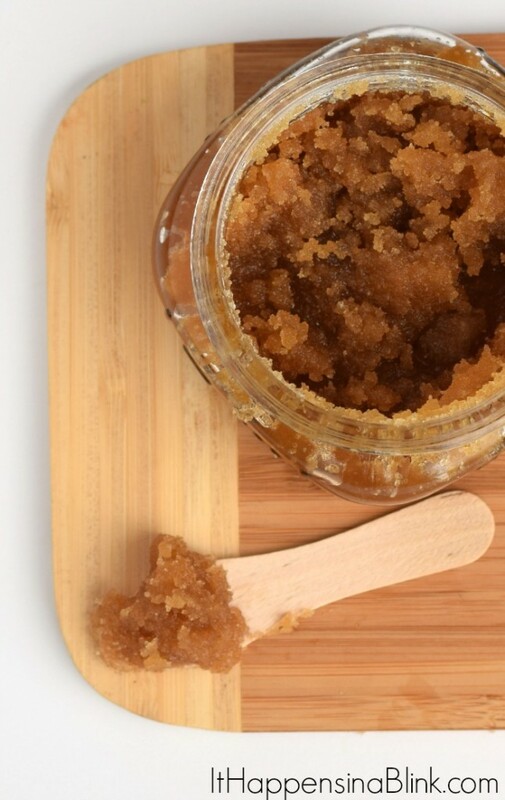 Love this scrub recipe…my feet can’t wait to come over to your place for a pedicure! 😉 pinned & stumbled!